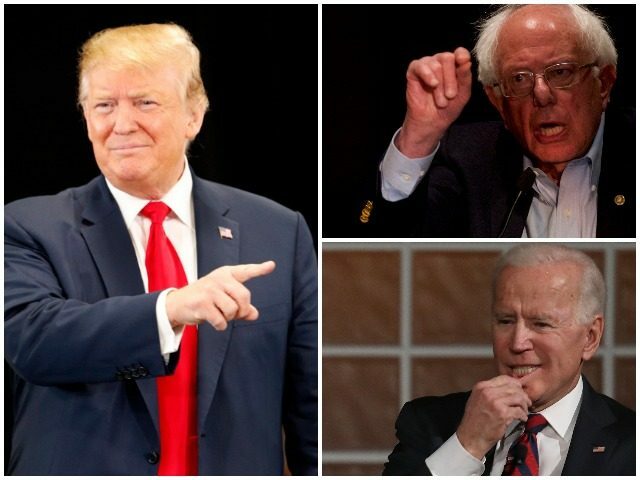 President Donald Trump weighed in on the Democratic primary Tuesday, as the slate of 2020 candidates continues to grow. Trump paid close attention to the town hall for Bernie Sanders hosted by Fox News, where his supporters in the room cheered the Democratic socialist’s radical policies. “What’s with Fox News?” Trump asked, recounting that Trump fans were barred from attending the Sanders town hall in Bethlehem, Pennsylvania. “Big complaints about not being let in-stuffed with Bernie supporters,” Trump continued. He also mocked Sanders for paying low taxes despite campaigning for more tax hikes on the rich.